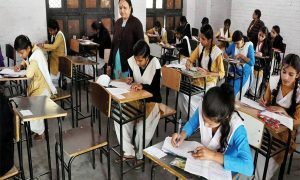 Delhi, Kerala and Tamil Nadu have been ranked as India’s best states in terms of gender-related education indicators, according to new data from the Ministry of Human Resource Development and UNICEF. Utilizing the district-level indicators of girls’ education and health disadvantages, the government also aims to gauge the most backward pockets of the country that require the most attention. The two southern States, along with Delhi and Himachal Pradesh, are the best performers here, with Gujarat, Rajasthan and the central and northern states among the worst. While the atlas uses data assimilated by other government agencies, it also creates a new composite index bringing into use 21 specific indicators to do with girls’ education, along with four axes – infrastructure, teachers, access, and outcomes. 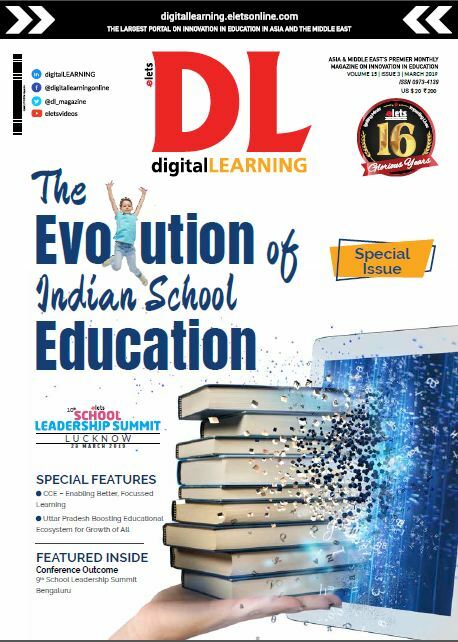 Tamil Nadu, Kerala, Delhi and Punjab are in the top 25 per cent of the index range for elementary education, the two southern states and Delhi make the top quarter of the index for secondary education as well. Central and northern States, including Rajasthan, Madhya Pradesh and Bihar, are among the worst performers. 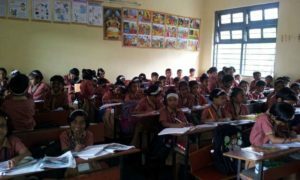 Although the data shows that the pockets of backwardness exist in better-off states too, Bangalore’s urban and rural districts do as well as Mumbai or Pune, the neighbouring district of Tumkur is among India’s worst off districts. Ramanathapuram, Krishnagiri and Dharmapuri districts in Tamil Nadu do as badly on the composite girls’ education indicator as Barabanki, Bahraich and Shrawasti in Uttar Pradesh. The atlas also creates a vulnerability index of factors related with the girls’ education, including the likelihood of joining the workforce early and getting married off early. Gender Atlas visualizes the vulnerability status of an area based on composite index of parameters such as rural female literacy and percentage of boys and girls with disabilities, particularly girls. Performance status of the individual indicators can be visualized at the state and district level, differentiated by colour coding. While India has achieved high enrollment for girls at primary and upper primary levels, the enrollment levels, however, remain low at the secondary level. Representation of girls in total enrollment is 48.66% at the upper primary level and 47.29% at the secondary level. The map has been formulated with data collected from the unified district information system for education data, census 2011 and the district-level health survey. The Human Resource Development ministry has also launched a web-based digital gender atlas, a tool with which to map the progress on girl education throughout the country. 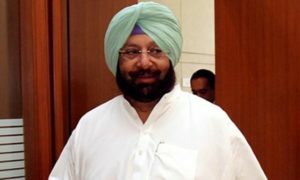 “The atlas provides a comparative analysis of individual gender-related indicators over three years and that enables a visual assessment of the change and an understanding of whether some intervention introduced in a geography at a particular point of time has worked or not,” HRD ministry said. Gender Atlas visualizes the vulnerability status of an area based on composite index of three parameters such as rural female literacy and percentage of boys and girls with disabilities, particularly girls. Performance status of the individual indicators can be visualized at the state and district level, differentiated by colour coding. For instance, the level of vulnerability of districts and blocks in Bihar or remote areas of Gujarat or Telangana can be measured with the digital atlas. The atlas can be used by the states, the districts, the block education administrators or any other interested group including NGOs, ministry officials said. “It has been developed as a hands-on management tool to enable critical decisions and actions in pockets where gaps are to be met,” Sarup said. The map has been prepared with data collated from the Unified District Information System for Education Data, Census 2011 and District-level Health Survey. While India has achieved high enrollment for girls at primary and upper primary levels, enrollment, however, remains low at the secondary level. At the upper primary level, the representation of girls in total enrollment is 48.66 % and at the secondary level at 47.29 %.